Welcome to the Juma the Giraffe Store. All Purchases Support Research and Conservation of Wild Giraffes by the Wild Nature Institute! 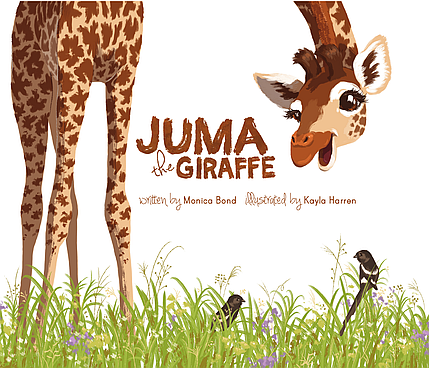 Select the number of books you want and click the Buy Now button below to purchase a copy of Juma the Giraffe using our secure Pay Pal merchant account. Please note hardcover books are sold out! Softcover books only. illustrated story book for kids ages 3-7. Expect delivery within 2-3 weeks. 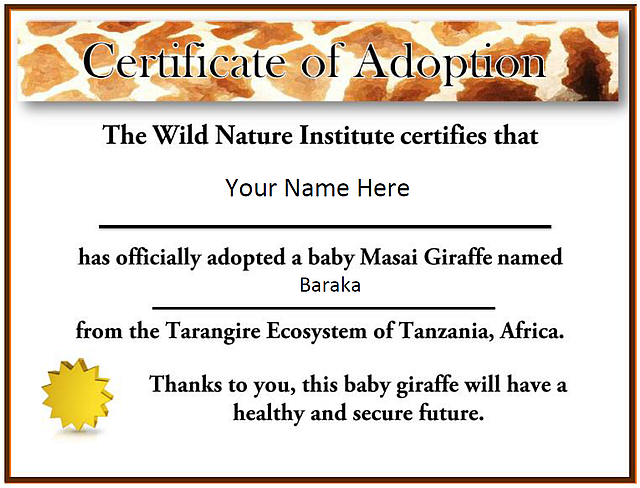 By pressing the Donate Button here and giving $300 to support Wild Nature Institute giraffe research and conservation, you will adopt a baby giraffe in the Tarangire Ecosystem. You can also pay by check. We will send you, or the designated recipient, an adoption certificate, a photograph, and a letter from your adopted baby giraffe. If the giraffe adoption is a gift for someone else, please include a note providing the name, age, address, and any message you'd like us to include to the recipient. Wild Nature Institute scientists are studying wild giraffes using a computer program that recognizes each animal’s unique fur pattern from photographs. Ours is the biggest giraffe demography study in the world. Our giraffe conservation research is discovering where Masai giraffe are doing well, where they are not, and why. We are also working to protect and connect savanna habitat areas important to Masai giraffe conservation. Please consider making a gift to support giraffe research and conservation.